Emmy-award winning documentarian June Cross’ work highlights stories of the dispossessed and the importance of community. She recently completed ‘Wilhemina’s War‘, about an African-American grandmother fighting stigma around HIV in the South. It was nominated for a 2017 Emmy. 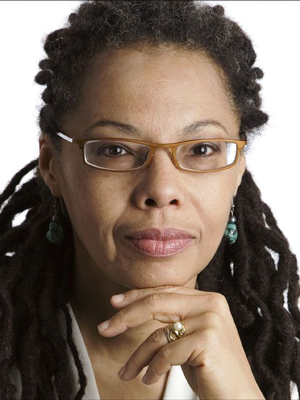 She became a professor at Columbia Journalism School in 2006, and founded the Documentary Program there in 2009. During her 40-year career, she worked for PBS’ Frontline, CBS News, and PBS’ MacNeil/Lehrer NewsHour. Cross received her B.A. from Harvard, and has been a fellow at Carnegie-Mellon University’s School of Urban and Public Affairs and at the W.E.B. DuBois Institute for Afro-American Studies at Harvard. She lives in Washington Heights with jazz drummer Mike Clark, and two cats.